Before buildOn partners with a community to break ground on a new school, each community member signs the buildOn Covenant, pledging commitment to gender equality in project leadership, school construction and education of their children. 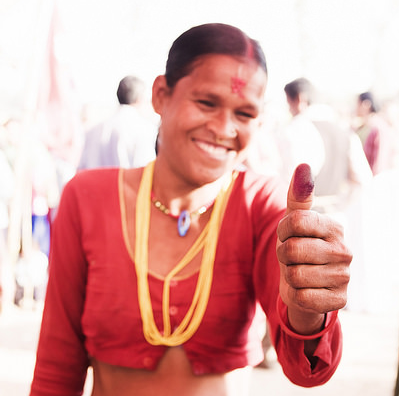 For thousands of women previously denied the right to education, signing the pledge is done with a thumbprint that shows she’s committed to working for a world where all women have the right to learn and to lead. And, with a new buildOn school in her community, both she and her children will have a path out of poverty through education. 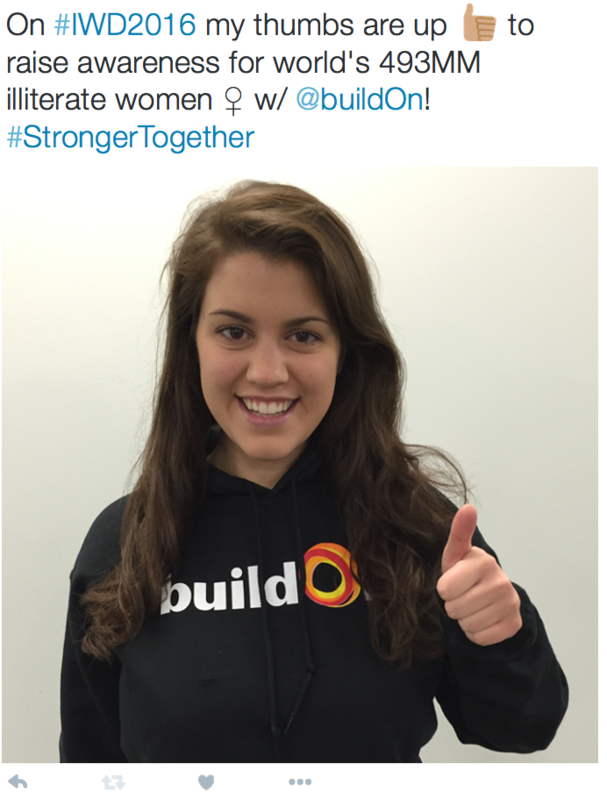 This International Women’s Day, help buildOn raise awareness for the world’s illiterate women and show the world you’re committed to gender equality in education! Put Your Thumbs Up for Gender Equality! On International Women’s Day (Tuesday, March 8th) share a photo with your thumbs up to show the world you are committed to gender equality in education. Post your photo on Facebook, Twitter, Instagram or your favorite social network. Include a message about why you’re committed to empowering women across the globe, and ask your family and friends to join you. You can also tag a woman you know who is a strong and inspiring female leader.